Summer is here! Well, sort of. Right now where we live it’s actually super cloudy, cool and misty every day. So, summer? Not so much. But if I do things like make lemonade then it will at least kinda sorta feel like summer, right? 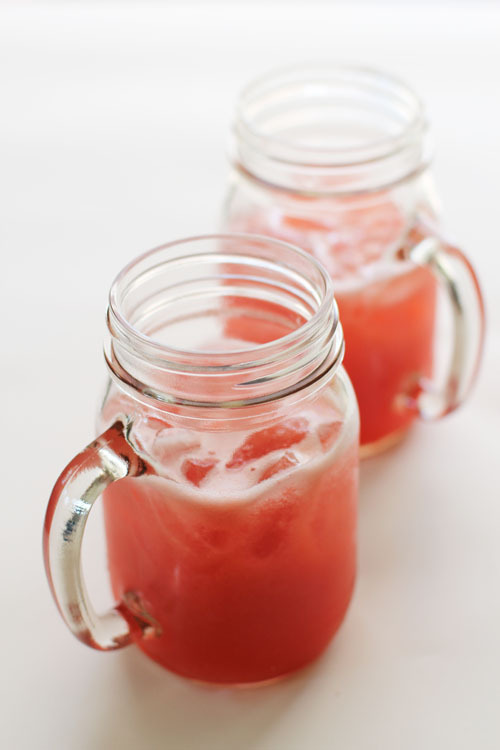 Today I have an excellent use for the rhubarb simple syrup I shared with you last week: strawberry rhubarb lemonade. This Ã¼ber flavorful lemonade was a hit with every member of my family and we drank every drop. In fact, I made this last week to photograph then proceeded to wipe my camera’s memory card clean before downloading the photos. When I mentioned today that I had to remake the lemonade for photos, the kids and Nate alike were more than happy I was making more so soon and were glad that I made that mistake last week! 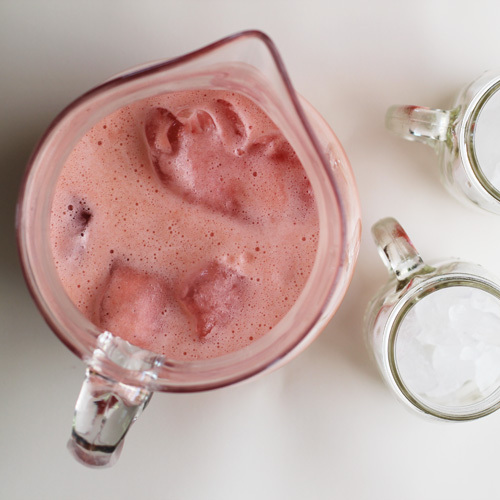 Place 1 cup of the water and the strawberries in a blender. Blend until pulverized. POW! 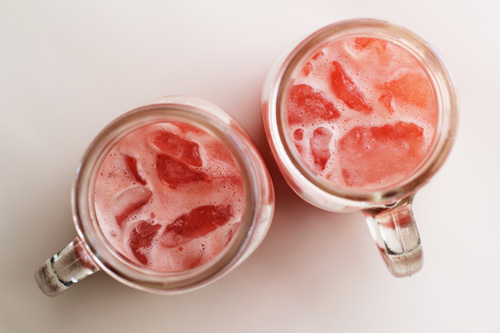 Mix together the strawberry puree with all the other ingredients in a large pitcher. Serve with lots of ice!